Books. Travel. Cooking. Politics. Family life. Fun. Unconventional. 2017 TBR Challenges – Beat the Backlist! 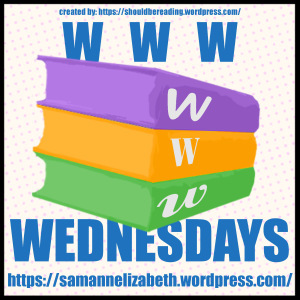 Welcome to this week’s WWW Wednesday post, a meme hosted by Sam @ Taking on a World of Words. Don’t forget to go take a look at what everyone else is reading! You can post your own WWW in the comment thread here. My Own Words by Ruth Bader Ginsburg. My Own Words is the April selection for my book club, and I realized it would be best read sporadically in between other books. I started it last night to give myself enough time to finish it before April. My Own Words is a complication of Justice Ginsburg’s most compelling speeches, positive and dissenting argument’s, lectures, and writings over the span of her life. The Hate U Give by Angie Thomas. I literally just started this one, so I don’t have a lot to say about it yet! Where the Mountain Meets the Moon by Grace Lin. I finished ACOL while we were out-of-town, and decided to pick up a book from M’s stash in her backpack. This is what I chose, and it was an excellent choice! A fantasy story about a young Chinese girl who goes off on adventure in search of The Old Man of the Moon, to ask him how she can change her family’s fortune. It reminded me a bit of The Wizard of Oz, and was a delightful little book. To be honest, I don’t know! Game of Thrones is hanging out in the queue, as are a few Agatha Christie novels and The Brief and Wondrous Life of Oscar Wao. I’ll probably wait to see what I’m in the mood for next. What is on your reading list this week? A Conjuring of Light by V.E. Schwab. The last book in the Darker Shades of Magic trilogy is everything I want it to be and more. LOVE IT!! The Happiness Project by Gretchen Rubin. I went into this “Yearly Challenge”stunt genre style of book with very few expectations, and was pleasantly surprised. Written in a light-hearted way, I found quite a few inspirational and motivational sections. Review coming soon. The Hate U Give by Angie Thomas. It’s a good thing I am still deep into ACOL. Otherwise, I would be quite impatiently waiting for my hold request for The Hate U Give by Angie Thomas to arrive at my library! This is one of my most anticipated reads this year, and I can’t wait to start it! A Game of Thrones by George R.R. Martin. If I don’t receive my copy of THUG by the time I finish ACOL, I plan on starting GOT, which has been on my TBR list for ages. And how is that for splendid use of bookish acronyms, LOL. What’s on your reading list this week? I haven’t participated in the WWW meme, and was missing it! The Underground Railroad by Colson Whitehead. I’m almost finished, and this is such an excellent book. It’s a coincidence, but this turned out to be the perfect book to read at the beginning of Black History Month. Of Fire and Stars by Audrey Coulthurst. Review here. Year of No Sugar by Eve O. Schaub. I may skim this one, but I picked it up from the library to read after completing the Whole30, to help me stay on track in a long-term committment to drastically cut down on the amount of sugar I eat on a regular basis. The Happiness Project by Gretchen Rubin. I have been meaning to read this book for years, and now feels like the right time for it. 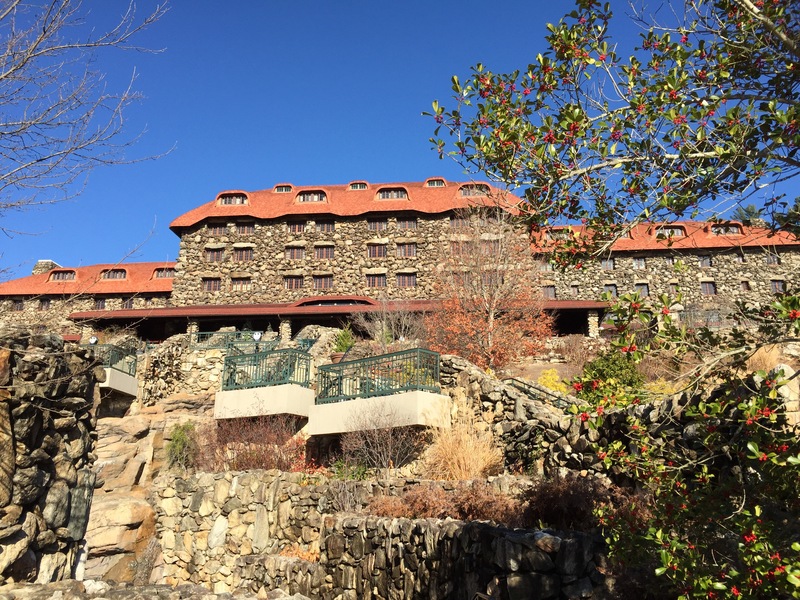 I am spending the next two days at the historic Grove Park Inn in Asheville, North Carolina! 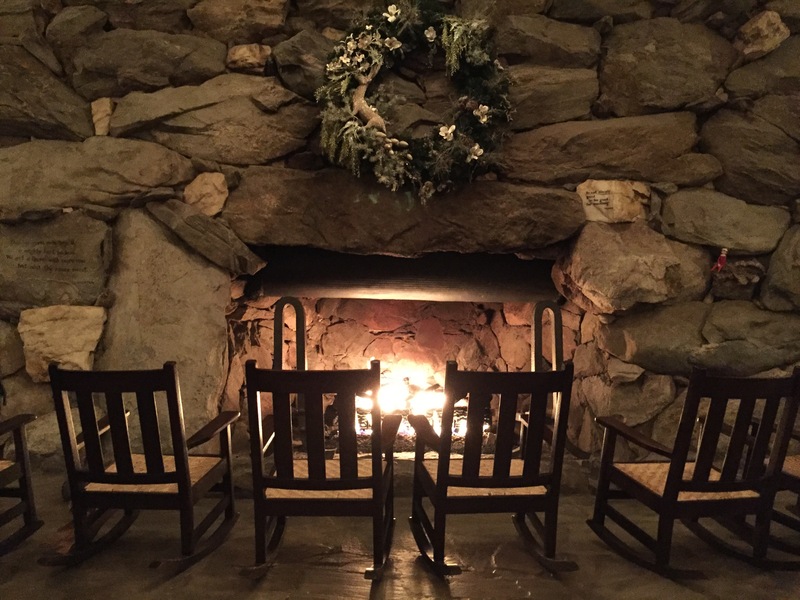 Look at that amazing fireplace…the lobby is filled with so many perfect reading spots. I will be spending quite a lot of time cozied down with a book in front of that fireplace. Or maybe, within viewing distance of the lovely warm glow, since the weather is actually in the 7os right now! 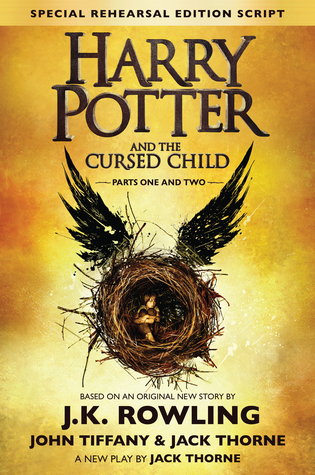 Harry Potter and the Cursed Child by J.K. Rowling, John Tiffany and Jack Thorne. For better or worse, I am finally taking the plunge and seeing for myself what The Cursed Child is like. 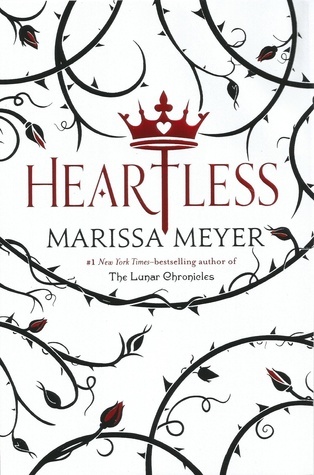 Heartless by Marissa Meyer. I just finished this, around 11:30pm last night! For me, it definitely lived up to expectations. My review will be shortly forthcoming. Welcome to this week’s WWW Wednesday post, a meme hosted by Sam over at Taking on a World of Words. Don’t forget to go take a look at what everyone else is reading! You can post your own WWW in the comment thread here. The Bookseller of Kabul by Asne Seirstad (Non-fiction). Seirstad – a journalist – spends four months living with a bookseller and his family in Kabul, shortly after the fall of the Taliban. I started this one last week but it is going slowly. The chapters are almost set up as short vignettes, which is kind of appealing, since I have only been able to read in short spurts. I am still undecided if I like the fact that the author wrote herself out of the account. Gilded Cage by Vic James – I received this ARC on Netgalley, and overall, I really enjoyed it. In fact, I am still mulling over the characters, so I think it might be a book (dare I say, series?) that I grow fonder of over time. Review here. Little Girls Can Be Mean by Michelle Anthony. Little Girls Can Be Mean appears on so many parenting reading lists. More than anything, it shows how little is actually out there for parents on the topic of female social conflicts and bullying in the elementary years. Do you follow me on Goodreads? You can find me here! Up Next: I don’t know!! Sailor Moon, Volume 2 by Naoko Takeuchi – Something fun. My Experiments with Truth by Mahatma Gandhi – Something uplifting and powerful. Furthermore by Tahereh Mafi – Something that is almost due back at the library. Of course, it could turn out to be something completely different. Which one of those three would you recommend that I read next? What are you reading this week? Leave Me by Gayle Forman. The verdict is still out about how I feel about this one. The storyline didn’t capture me at the beginning, but I am slowly warming to the characters and plot. Maybe. Serafina and the Black Cloak by Robert Beatty. Such a good book, and there is a long queue at the library for the next one! Dr. Jekyll and Mr. Hyde by Robert Louis Stevenson. Not what I expected, and not my favorite classic, but definitely thought-provoking and interesting. Hopefully reviews for both of these books will go up on Thursday and Friday. Little Girls Can be Mean by Michelle Anthony. This has been sitting in my library book basket for a few weeks now, hopefully I’ll get around to reading it before it is due back! The Graveyard Book by Neil Gaiman. For the Halloween TBR challenge, and because I love to read spooky books in October! A Gathering of Shadows by V.E. Schwab – I sped through ADSoM, but the beginning of AGoS has slowed me down somewhat. I love tough, badass Lila, but the story of how she spent the four months since the end of ADoM has not been holding my attention as her solo parts in the last book. The coup on the pirate ship was fantastic, but now the storytelling is dragging just a bit. And Rhy at the beginning of this book is incredibly annoying. What has gotten in to him? I hope there is an explanation for his weird behavior later in the book. A Darker Shade of Magic by V.E. Schwab – I am working on writing the review today, and will be posting it tomorrow! Wherever There is Light by Peter Golden – I may have to put AGoS on hold to read this one in time for my book club next week. Little Girls Can Be Mean by Michelle Anthony – Yes, little girls can be mean. My daughter stands out a bit in the Bible Belt for not being Christian, and she has already had a few kids say some not so nice things to her about that. We are working with her on formulating the a way to respond to mean behavior in general (not necessarily just bullying) in the elementary years, and I am hoping this book has some helpful advice. Back from a Blogging Break!